Come dance, wiggle, and sing to some family-friendly folk-rock! Margot Fox warmly engages families and children at festivals, as well as in theaters, schools, and libraries. Her career began as a singer-songwriter performing around New York and Massachusetts before her children inspired her to enter the family music scene. Get ready to move because Margot brings audiences of all ages to their feet! Toddlers 2 and under are Free! 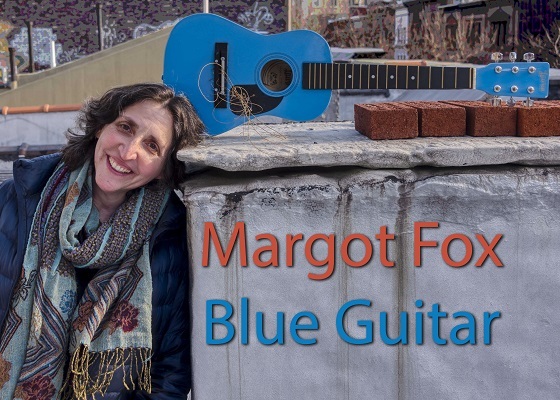 Join Margot Fox and Friends for some family-friendly folk-rock! Come dance, wiggle, and sing to her tunes, old and new, as we shake off the cold and look toward Spring! Drummer, Pat Tambor, and electric guitarist, Adam Finchler, will preview songs from Margot’s upcoming album, Blue Guitar, as well as perform favorites like Planet Clementine, Alphabet City, and Moose Crossing.